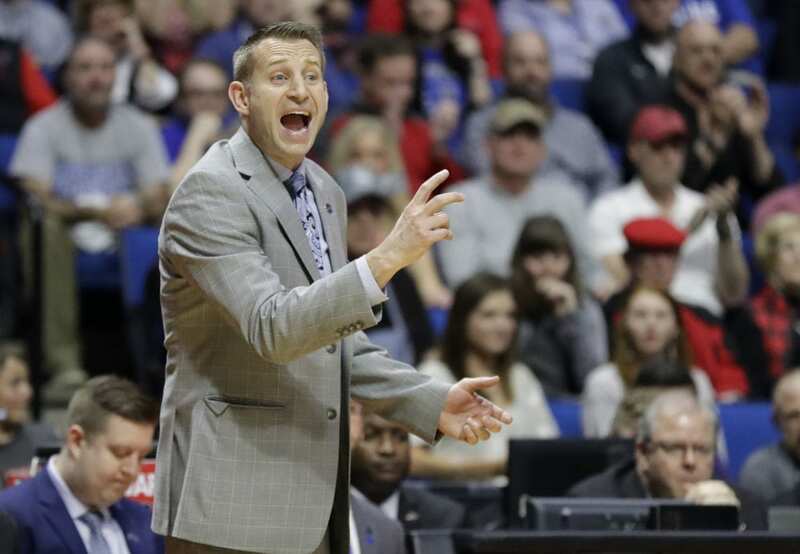 TUSCALOOSA, Ala. (AP) — Nate Oats helped turned Buffalo into an NCAA Tournament regular. Now, he’s trying to restore Alabama to that status. The Crimson Tide hired Oats on Wednesday after he led the Bulls to their best season and a third NCAA berth in four years. Oats spent his first two years in Buffalo as Bobby Hurley’s No. 1 assistant and top recruiter. A former high school coach in suburban Detroit, he was promoted to head coach shortly after Hurley left for Arizona State. Be the first to comment on "Alabama Hires Buffalo’s Nate Oats As Its Mens’ Hoops Coach"